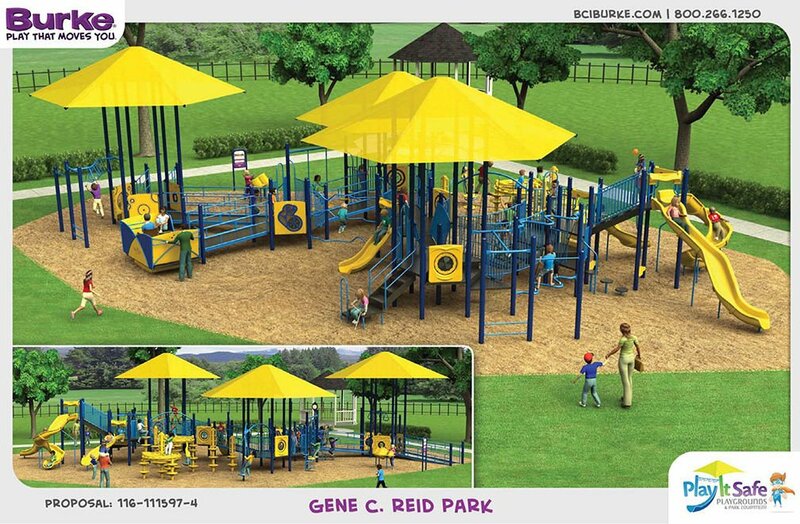 The new playground at Reid Park will feature shade, a play area for children ages 2 to 5 and a play area for children ages 5-12, as well as ADA accessible elements. This play area is designed for children ages 5-12. This rendering shows the play area for kids ages 2-5 at the new playground being installed at Reid Park. The old playground (nearest the DeMeester band shell) only had pockets of play amenities and was not ADA accessible, says Joe O'Neill of the Tucson Parks & Recreation Planning and Development department. The existing swings will be refurbished. A new drinking fountain and new landscaping for the area is also in the works. The project is scheduled to be completed by late July, O'Neill says. A splash pad is also planned for the park, but the location is still to be determined, O'Neill says. That project is part of Phase One of the Prop 407 projects which means it will be completed sometime between the years 2020 and 2022.